So I am starting the ‘Best Of’ series of posts with cleansers. I believe that this is were you should invest some time, effort and a little cash to make sure that you have the best skin possible. I really think that you can’t have the best makeup possible without having the best skin that you can possibly have. For me cleansing and exfoliating should be the most important part of your skincare routine. There is no point in you spending big bucks on a fancy moisturiser if your skin is not prepared to receive it. By that I mean that if you do not cleanse and exfoliate your skin the dead skin cells that lay on the outer surface of your skin will act as a barrier to any serum/cream that you apply, which effectively means that the lotions that you are applying will not be able to penetrate them and will sit on the surface doing nothing. The first cleanser on my list is from one of my favourite skincare brands, AlphaH. Their Liquid Gold Anti-Ageing Cleanser has won numerous awards worldwide. I get mine from Beautybay.com and at the moment it’s seriously reduced, it will only cost you €21.40, now that’s a bargain it normally costs €41.70. The reason that I love this so much is because it has Glycolic Acid as its main active ingredient but it also has Lactic Acid and Shea Butter. Another brand that is much more readily available in Ireland is Image Skincare. 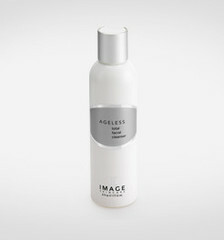 Their Ageless Total Facial Cleanser is packed full of active ingredients like Glycolic Acid and Citric Acid. This brand is a salon brand and you will find it in lots of salons nationwide. This cleanser will set you back €30.00. When I am working I always use Lancôme‘s Eau Micellaire Douceur, I love it because it has a gentle water like consistency that is strong enough to remove stubborn eye makeup and even red lipstick! It’s also amazing for when you need to clean up any mistakes that you have made, just squirt some of the liquid into the lid, dip a cotton bud in and hey presto you have a cleaning tool! 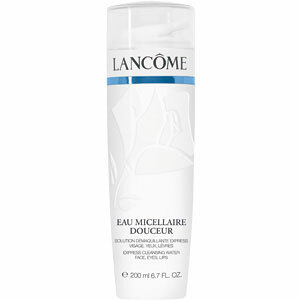 It is available at all Lancome stockists and will cost you €26.00 for 200ml and €38.00 for 400ml. If you are a person that uses face wipes, you need to stop and buy this cleanser and some cotton pads, it’s just as easy as wipes but SO much better for your skin. 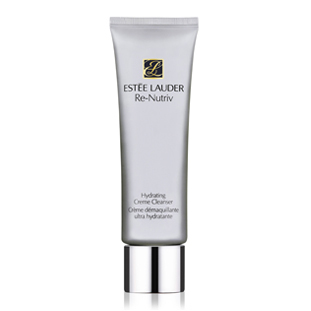 If my skin is feeling a little dry or tired I always return to Estee Lauders Re-Nutriv Intensive Hydrating Cleanser. It is a beautifully rich cleanser that has been designed to hydrate your skin. I use this in the summer months and if I am traveling. I also keep on in my kit for times that the face that I am about to paint needs that extra bit of pampering. It’s available nationwide on all Estee Lauder counters and will cost you €52.00. Generally when choosing my skincare I tend to go for brands that are very science based, like most of the above. But I found this little beauty in 2011 which is a completely natural cleanser and it’s wonderful. 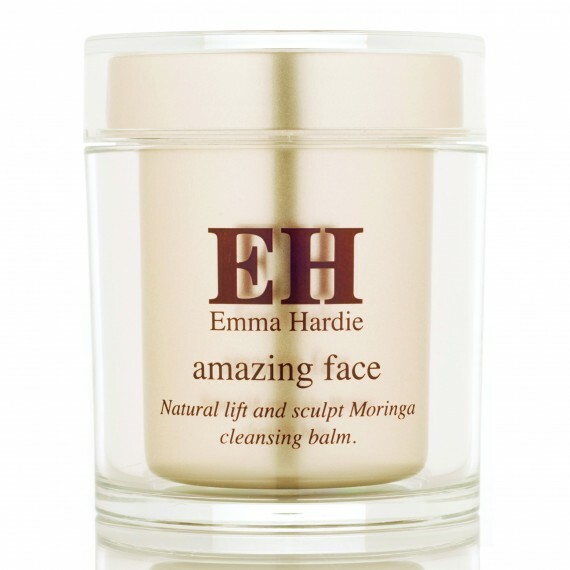 Emma Hardie products are the brainchild of Emma herself, who is possibly the most amazing facialist ever, the sadist news is that she is based in London. Her Moringa Cleansing Balm has the most beautiful texture and smell. It is a balm texture but when you start to blend it onto your skin it melts into a fantastic oily consistency. If you are taking a lot of medication or your skin is hyper-sensitive this will be the product for you. It is available in Arnotts or online and it comes in a huge 100ml jar which lasts and lasts. Thanks Leonard. I am looking for a cleanser at the moment so thanks for your suggestions. Your advise is invaluable. You’re very welcome. Hope you were not too upset leaving Boris yesterday. Need to start looking after my skin properly again – thanks for the tips! I always use wipes! I’m getting the Lancôme!! Dying to try the AlphaH, it sounds delicious! As well as a bargain!